During World War II, the Kriegsmarine armed a number of merchant vessels with concealed guns and torpedo tubes for surprise attacks against Allied shipping. 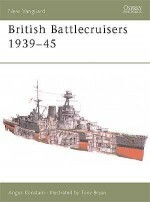 To counter this deadly threat, the Royal Navy employed cruisers and their intelligence-gathering apparatus to find and destroy the disguised German commerce raiders. This Duel title covers the deadly game of cat and mouse, fought by these surface vessels during World War II. Robert Forczyk has a PhD in International Relations and National Security from the University of Maryland and a strong background in European and Asian military history. He retired as a lieutenant-colonel from the US Army Reserves having served 18 years as an armour officer in the US 2nd and 4th infantry divisions and as an intelligence officer in the 29th Infantry Division (Light). Dr Forczyk is currently a consultant in the Washington, DC, area.